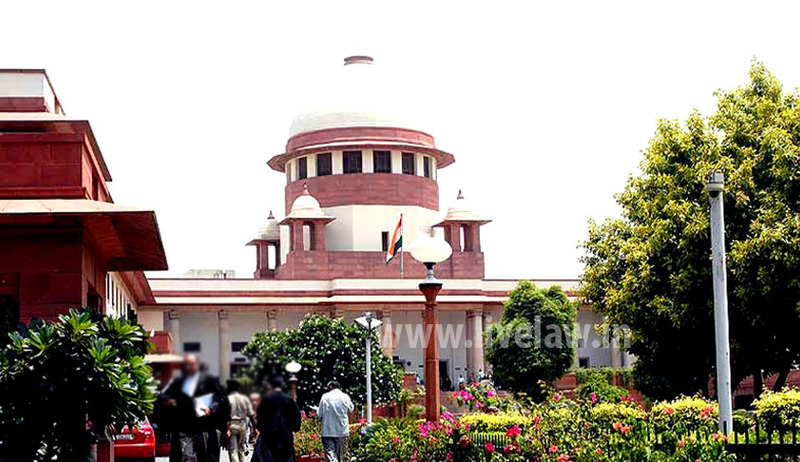 Supreme Court has observed that passing a detention order under the Andhra Pradesh Prevention of Dangerous Activities of Bootleggers, Dacoits, Drug Offenders, Goondas, Immoral Traffic Offenders and Land Grabbers Act, 1986 for a period of twelve months at a stretch, without proper review, is deterrent to the rights of the detenu. A two Judge Bench comprising of Justice Ranjana Prakash Desai and Justice N.V. Ramana was addressing a question whether the State Government has the power to pass a detention order to detain a person at a stretch for a period of 12 months under the provisions of the in Cherukuri Mani v. The Chief Secretary Government of Andhra Pradesh & Ors (Crl Appeal No.1133/2014). As per a preventive detention order dated 30th September, 2013, under the Andhra Pradesh Prevention of Dangerous Activities of Bootleggers, Dacoits, Drug Offenders, Goondas, Immoral Traffic Offenders and Land Grabbers Act 1986, husband of the appellant was detained and 11 cases were registered against him. Appellant challenged the detention before the Andhra Pradesh High Court in a habeas corpus Writ Petition and the High Court dismissed by an order dated 28th October, 2013 stating that until and unless the competent Court of law decides the order of detention as illegal and invalid, it cannot be said that it is unauthorized detention. Appellant preferred an appeal before the Supreme Court in which she contended that as per the provisions of the Act, the period of detention in the first instance shall not exceed more than three months and a person cannot be put under detention without facing trial for a long period. She further contended that the Government Order directing detention of her husband for a period of 12 months is contrary to the proviso to sub- Section (2) of Section 3 of the Act. Bench has observed that Section 3 of the Act mandates the authorities to pass an order of detention at one time for a period not exceeding three months only and hence impugned Government Order directing detention of the husband of the appellant for a period of twelve months at a stretch is clear violation of the prescribed manner and contrary to the provisions of law. Bench has quashed the detention order issued by the Government of Andhra Pradesh and set aside the judgment of the Andhra Pradesh High Court upholding the Order and directed the Government to release the detenu. “Section 3 of the Act is very clear in its purport, as to the operation of the order of detention from time to time. An order of detention would in the first instance be in force for a period of three months. The Government alone is conferred with the power to extend the period, beyond three months. Such extension, however, cannot be for a period, not exceeding three months, at a time. It means that, if the Government intends to detain an individual under the Act for the maximum period of 12 months, there must be an initial order of detention for a period of three months, and at least, three orders of extension for a period not exceeding three months each. The expression "extend such period from time to time by any period not exceeding three months at any one time" assumes significance in this regard”. “Where the law prescribes a thing to be done in a particular manner following a particular procedure, it shall be done in the same manner following the provisions of law, without deviating from the prescribed procedure. When the provisions of Section 3 of the Act clearly mandated the authorities to pass an order of detention at one time for a period not exceeding three months only, the Government Order in the present case, directing detention of the husband of the appellant for a period of twelve months at a stretch is clear violation of the prescribed manner and contrary to the provisions of law. The Government cannot direct or extend the period of detention up to the maximum period of twelve months, in one stroke, ignoring the cautious legislative intention that even the order of extension of detention must not exceed three months at any one time. One should not ignore the underlying principles while passing orders of detention or extending the detention period from time to time”.